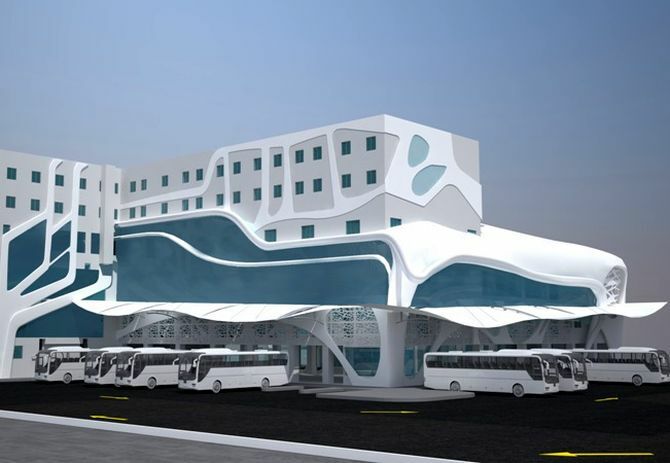 Rediff.com » Business » Gujarat develops India's swankiest bus station! 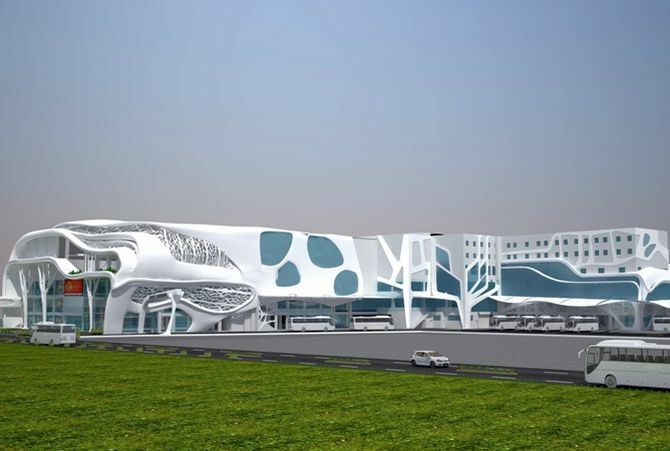 Gujarat develops India's swankiest bus station! 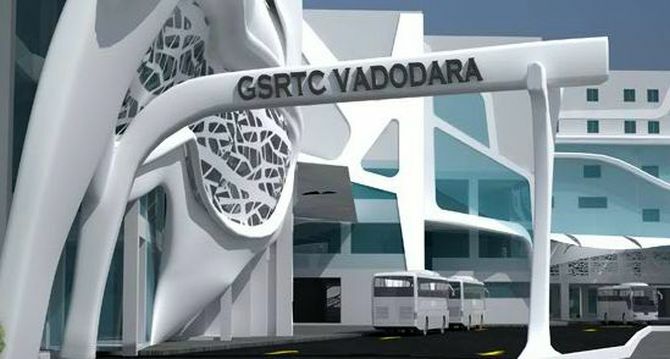 A world-class bus terminal, which has redrawn the architectural landscape of Vadodara, will be inaugurated by Gujarat Chief Minister Narendra Modi on Friday. 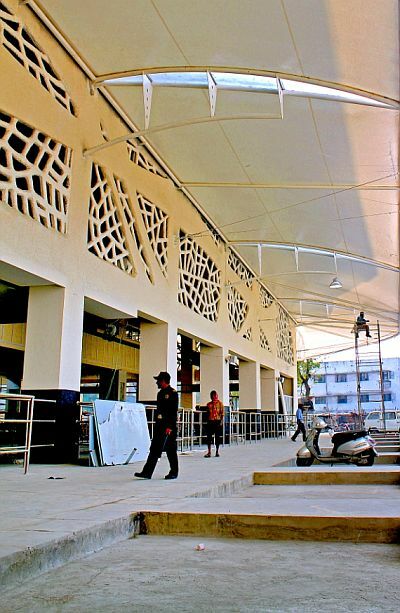 The bus terminal project, with an initial estimated cost of around Rs 110 crore (Rs 1.10 billion), is a joint venture between Sphere Cube Infrastructure Pvt Ltd and the Gujarat State Road Transport Corporation. 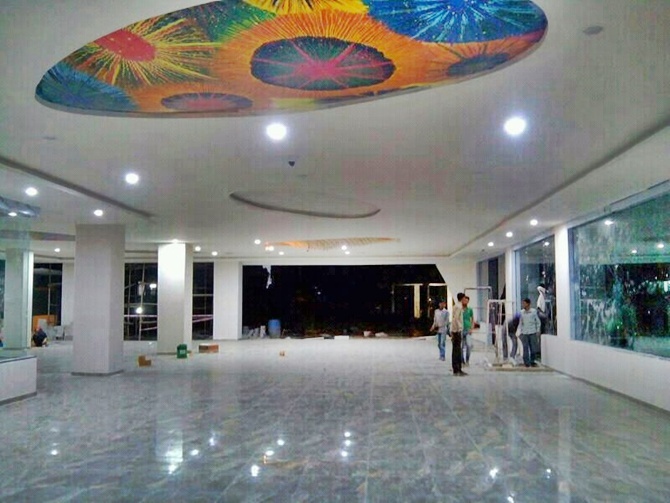 "Keeping in view the history of Vadodara, the photographs/paintings of historical monuments of the city have been put up in the terminal spread across 20,300 sq metres area which is a first kind of its project on PPP (public private partnership) mode undertaken in the country," Sphere Cube Infrastructure's joint managing director Bindya Shah claimed. 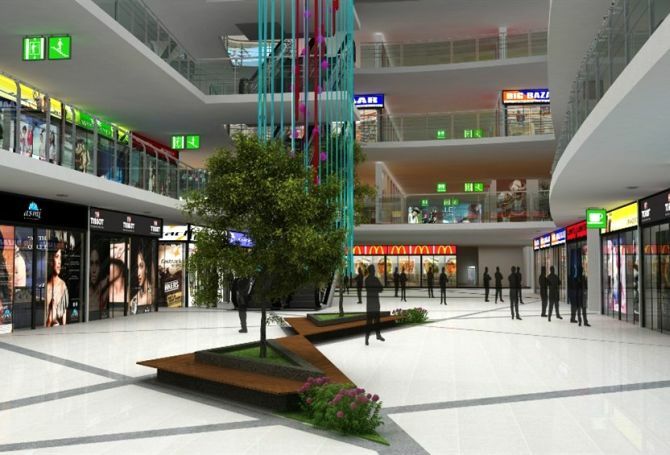 The central bus terminal located in Sayajigunj locality, will also serve as single largest commercial space in the city with a mall. 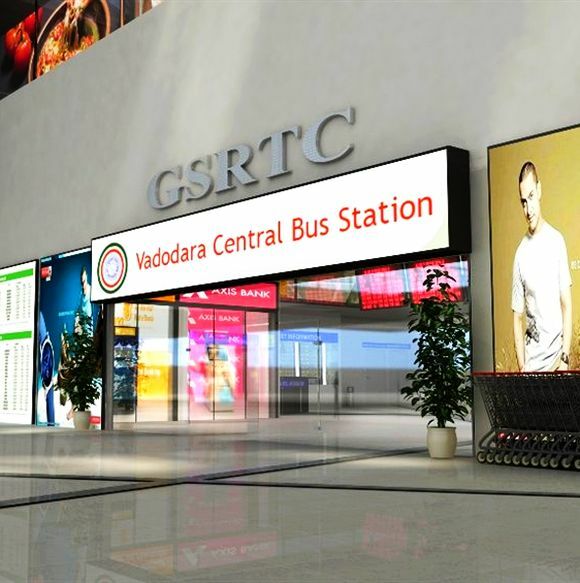 The bus terminal also has an electronic scroller for time table information, round-the-clock security with walky-talky, CCTV monitoring and a sky-walk (connecting the terminal with Vadodara railway station). 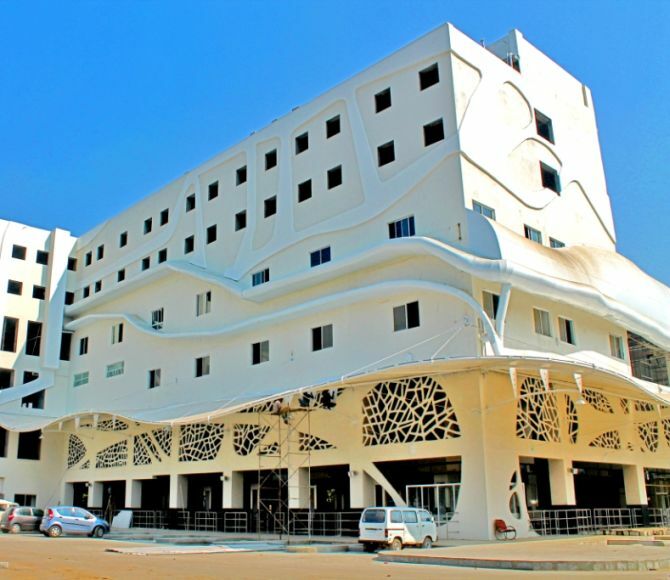 It also has a seven screen multiplex, food courts, modern budget hotel and a 24-hour cafeteria. 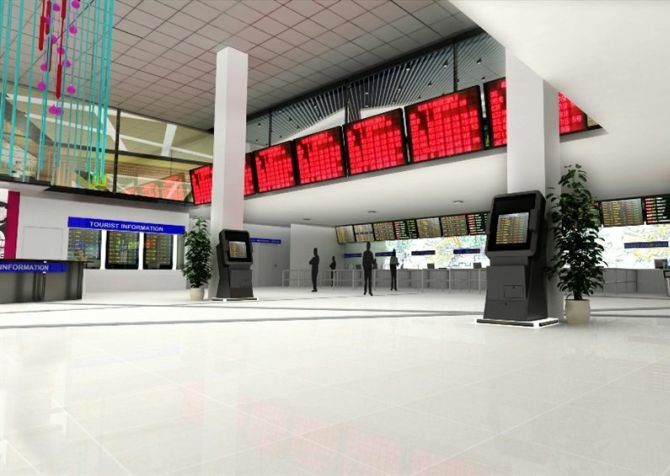 The terminal also has a gaming zone, gymnasium with yoga facility, all connected by escalators and lifts. 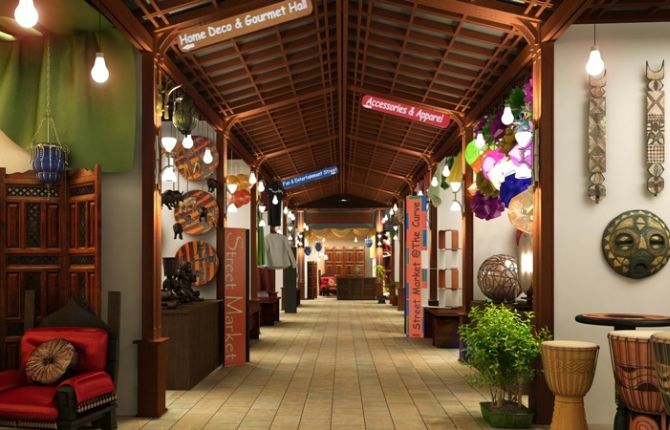 It will also feature affordable dormitory and an AC deluxe waiting room. It also has trolleys for carrying passengers' luggage. 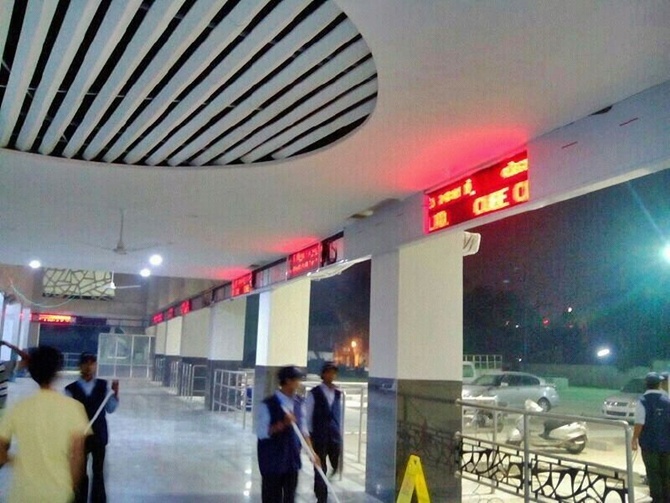 The signboards display approach route to different areas within bus terminal. 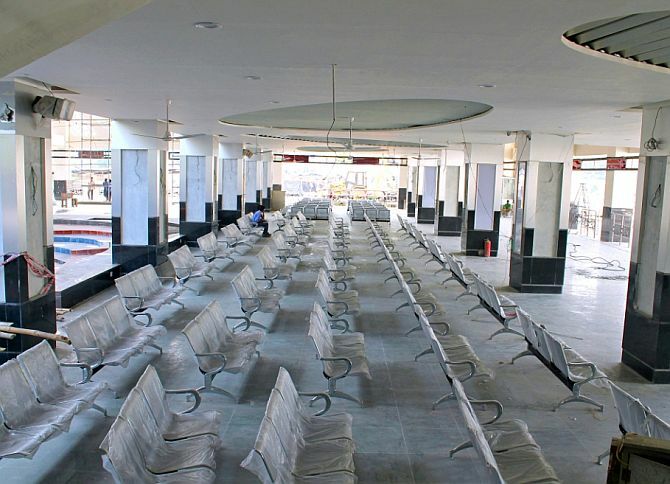 The terminal offers wheel-chairs and separate toilets for physically handicapped. 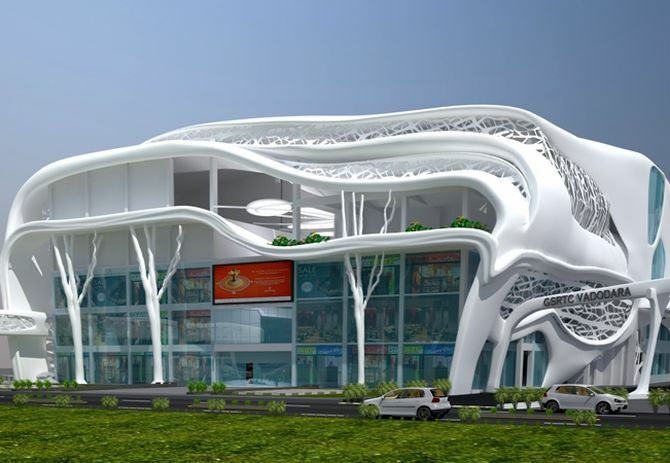 The terminal will also provide sufficient parking for autorickshaws within bus terminal. 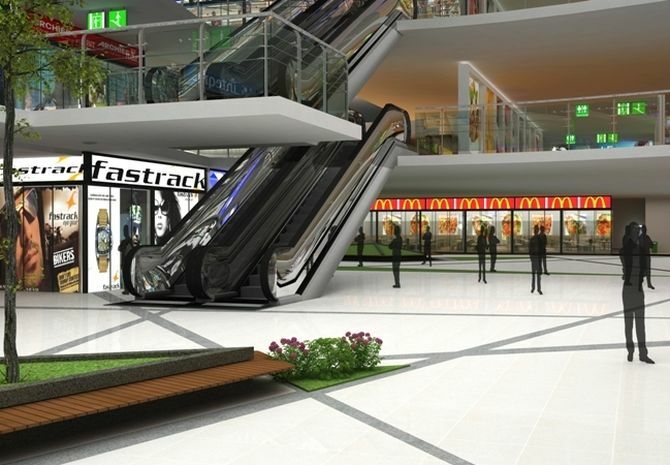 It has a parking facility for four-wheelers and two-wheelers in double basement. The bus terminal has separate tracks for buses, private vehicles and pedestrians to ensure safety. 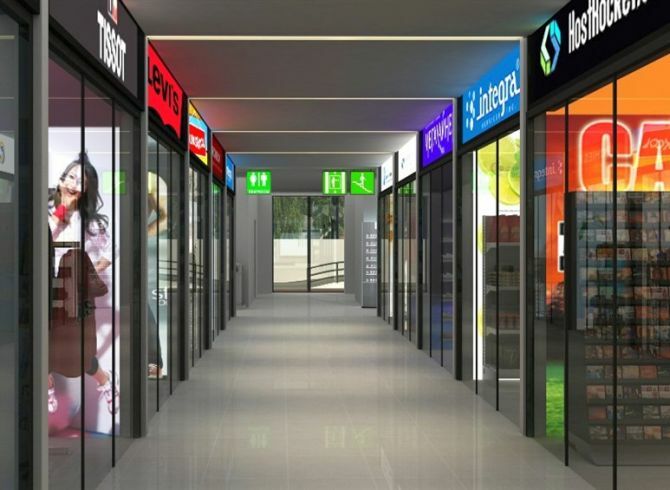 There are multiple routes for pedestrian traffic and exclusive basement parking facilities. 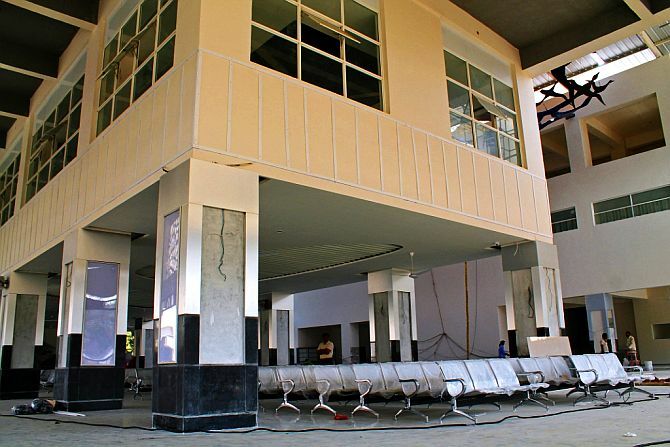 Making travel a hassle-free experience, the terminal offers modern dormitories for men and women. 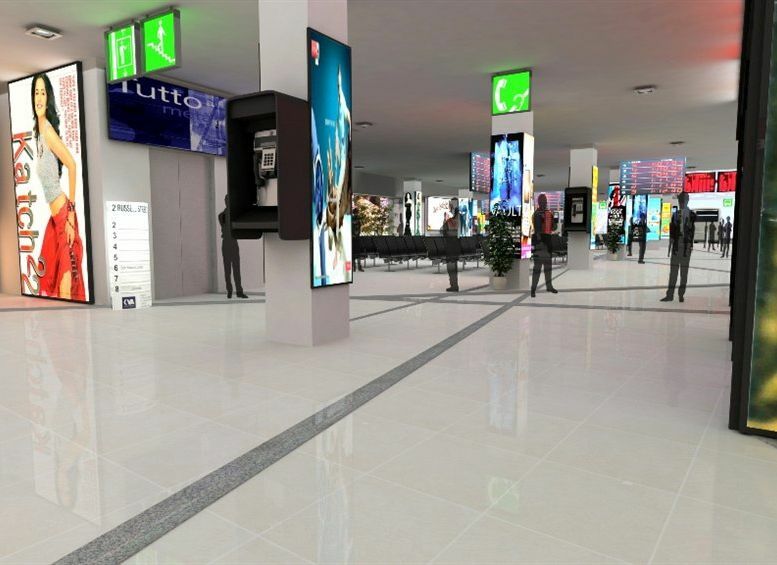 The bus station also offers a luggage scanning system and security guards to ensure highest purity with minimum wastage. It has also adopted alternative energy methods and has facilities for water harvesting. 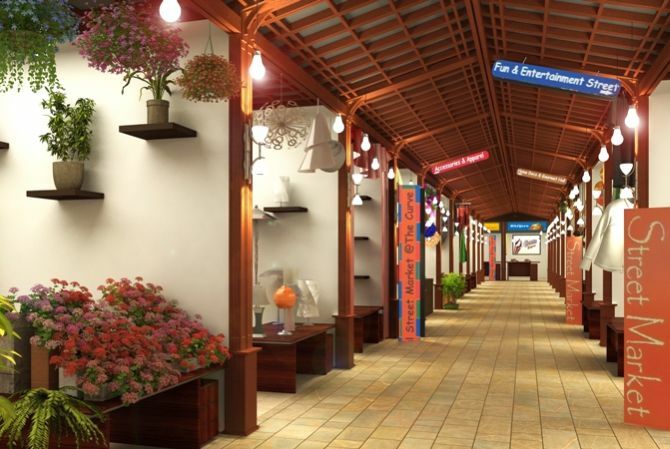 A bridge linking platform the Railway Station to Second floor of bus terminal is proposed. 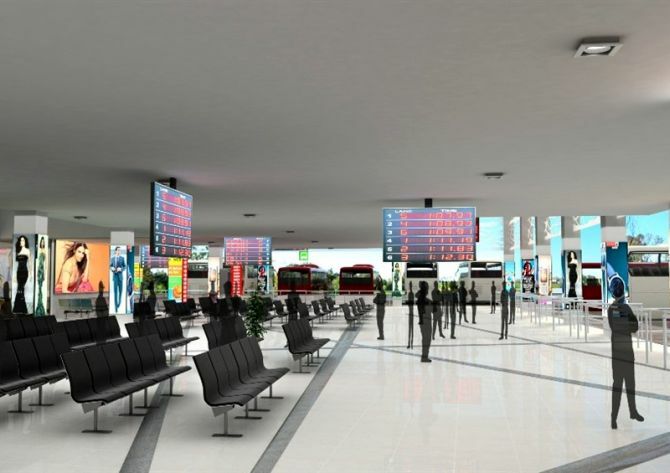 This bridge will enable speedy and safe access for passenger between both terminals. These countries DO NOT have an airport!